It’s dark and rainy outside, but I’m keeping it light with mint plaid and neutrals today. Casual and comfy. But I can’t decide – glasses on or off? American Apparel scarf, J. Crew plaid shirt, Gap T-Shirt, UNIQLO pants, ALDO desert boots and glasses, Glam Rock watch, eclectic mix of bracelets. 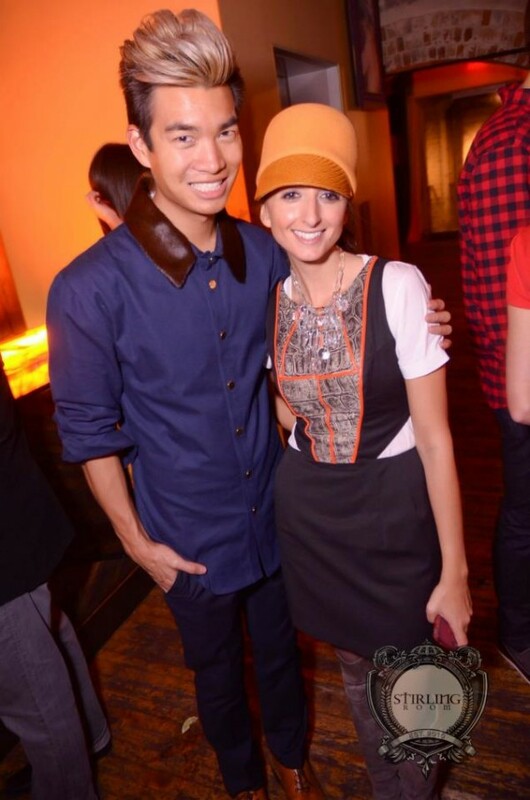 Last week, KENTON magazine and Whatever Eurotrash hosted a Toronto Fashion Week after party at the Stirling Room. It was a fun time and great way for all of our friends to come unwind and hangout together after the shows! See more photos from the party hereÂ and the breakdown of my outfit here. Spotted during Toronto Fashion Week with KENTON magazine‘s Contributing Fashion Editor, Talya Macedo! Thanks for including us in your street style round upÂ stylecircle.co! See more of this lookÂ here. Despite the impending hurricane (Yes, Sandy I’m looking at you! ), I’m weathering this storm in style. 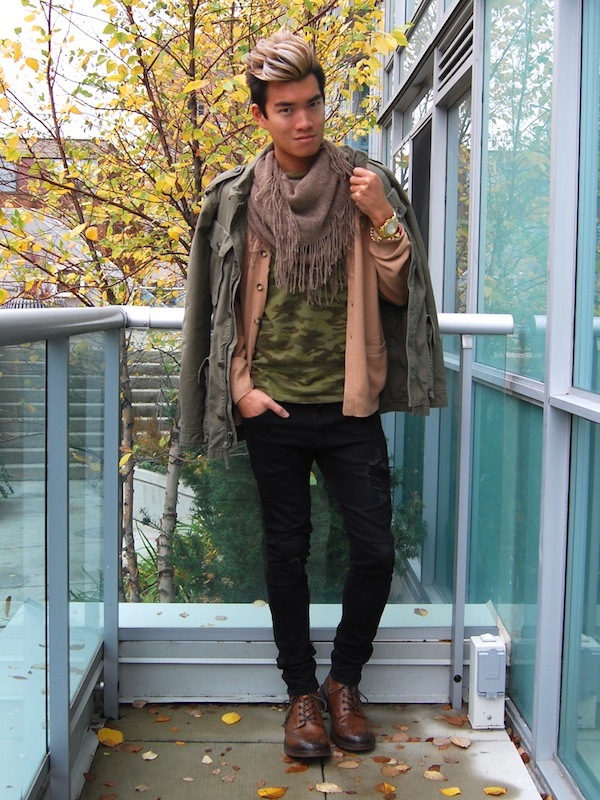 Camouflage print, military jacket, cashmere and tough boots are up today. Earthy with an edge. Monk & Lou scarf, J. Crew jacket, All Son T-shirt, UNIQLO cardigan, H&M jeans, ALDO Mr. B’s shoes, Glam Rock watch.